Attempt by security transparent method 'System.Web.Http.GlobalConfiguration.get_Configuration()' to access security critical type 'System.Web.Http.HttpConfiguration' failed. Step 1: In the Visual Studio project -> Go to Tools -> "Library Package Manager" -> "Package Manager Console". 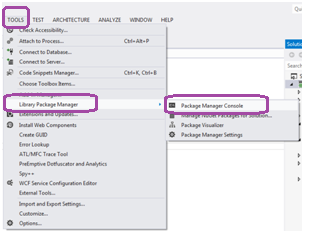 This opens the Package Manager Console window at the bottom of the Visual Studio screen. Step 2: Run the below command in the Package Manager Console window. This command updates the 'Microsoft.AspNet.WebApi' from version '4.0.20710.0' to '5.1.1' in your project. Step 3: Now build the project and run the application. The above error should be resolved.